We were sad to hear of the death of Roy Carr, one of the NME’s most popular and influential writers during the 1970s and 1980s, who also contributed to the MM, Uncut and Vox. Roy, a jolly, outgoing personality, blended his enthusiasm for many strands of popular music with a sly, witty humour. He championed many newly arrived artists, notably Bruce Springsteen and Elton John and his books like the Illustrated Record Guide, proved invaluable to generations of fans. 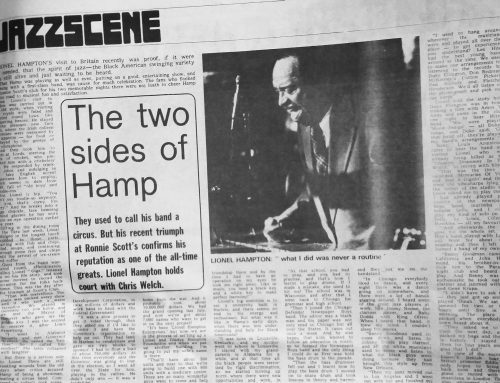 He later oversaw the creation of the NME’s famed cassette compilations, cherished by broadcaster Danny Baker, and wrote an informative, illustrated history of jazz. Cheerful, teasing company while on music press trips abroad, he would hang out with ‘rivals’ from other papers, like the MM’s Chris Charlesworth, Roy Hollingworth and Barrie Wentzel and greet them in trendy New York bars with cries of ‘Have a toffee!’ He even made Julie Burchell laugh, according to eye witness accounts. Photographer and journalist Valerie Wilmer knew Roy well, and learned that his family’s name was Mintz and that they came from Russia. His grandfather was a musician, who had played in a band for Tsar Nicolas. Roy’s father, a drummer, led his own band in Blackpool, performing under the name of Antony Carmeli, later shortened to Tony Carr. Tony later wrote a dance number called Do The Slosh which he hoped would prove a worthy successor to his previous hit instrumental March of the Mods. The original March was recorded by Tony Carr’s group The Executives and released on the Columbia label. Roy, who fronted the group, always claimed they ‘blew the Rolling Stones off stage’ when sharing a gig in the Sixties. 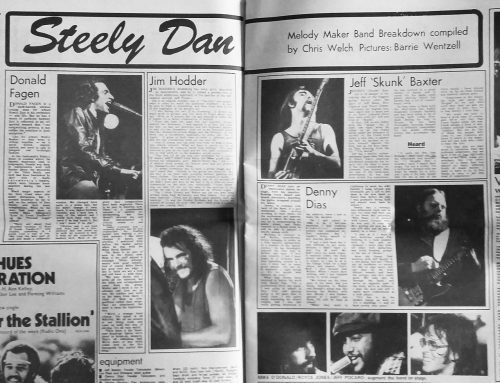 Interestingly, the bass player with the Executives was Glenn Cornick, a founder member of Jethro Tull and Wild Turkey. In the event, a cover version of March Of The Mods was a Top 40 hit for the Joe Loss Orchestra in November 1964 and not the Executives. Roy then moved into journalism. while Tony Carr carried on composing. 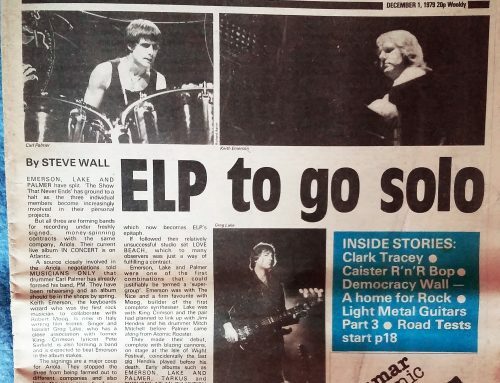 Ironically it was left to Melody Maker to cover the story of the latest dance craze, The Slosh and not the NME. That’s when I interviewed Roy’s dad, and learned that the dance came from Wigan (via Finland) and that Tony had recorded a demo of his song, presented it to a publisher and had it recorded by the Bob Miller band. The single was launched at a party at London’s historic Cafe de Paris, in April 1972. 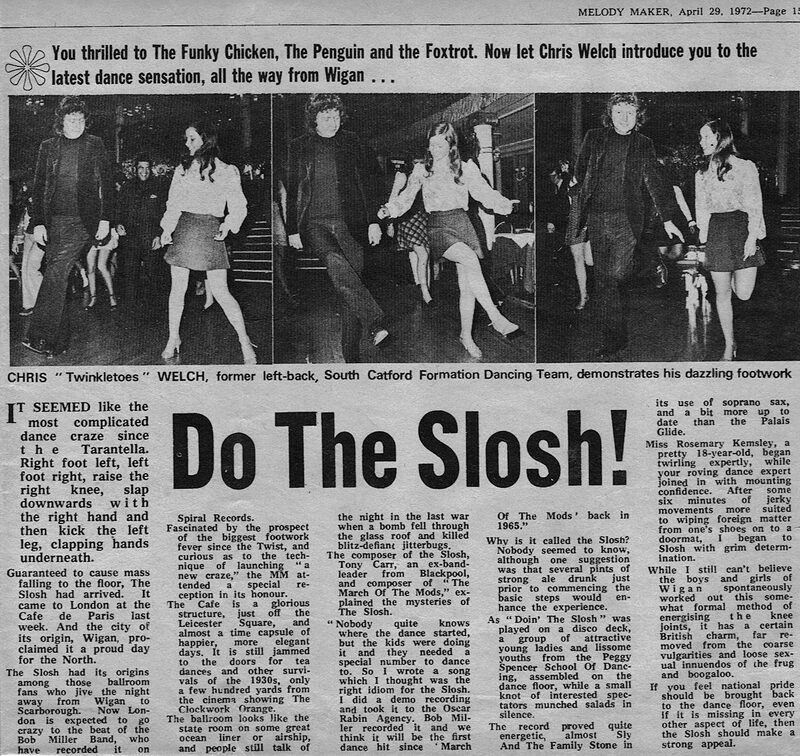 That’s when I gamely took part in a Slosh demonstration, with my pretty 18 year old dance partner, Rosemary Kemsley. It was a highly enjoyable experience, a bit like a forerunner of Strictly Come Dancing. And I like to think I did better than Ed Balls or Jeremy Vine, forsooth. Strangely, Roy Carr never commented on my encounter with his dad, and looked slightly embarrassed when I mentioned it. Perhaps he thought it might undermine his newly acquired NME street cred. Roy Carr died in hospital following a heart attack, aged 73, on July 1st, 2018. He will be greatly missed.